The world reeled at the passing of Alan Rickman. From Die Hard to Harry Potter, Sense and Sensibility to The Hitchhiker's Guide to the Galaxy, there's something for every type of movie lover in his filmography. He was an absolute giant of the entertainment industry, an actor who could slip into comedy as deftly as he deployed a tragic turn of phrase. But what you probably didn't know — what very few of his fans knew, until his untimely death at the age of 69 — was how varied his life was beyond the screen. Turns out, the man most famous for playing the wizarding world's toughest teacher was a philanthropist, a mentor, and an enormous amount of fun to be around. Rickman might be gone, but he left us a lot to think about — and a lot to take as inspiration. Rickman's cause of death in January 2016 was pancreatic cancer. At 69, he was no spring chicken — yet neither was he old. Fans around the world mourned both the untimely nature of his passing and its seeming suddenness. Had anyone known he was sick? How long had he been suffering, and how severely? Had it been publicized? How could one beloved man's passing, in an age of such unprecedented interconnectivity, so shock the entire world? Simply put: it was a secret. 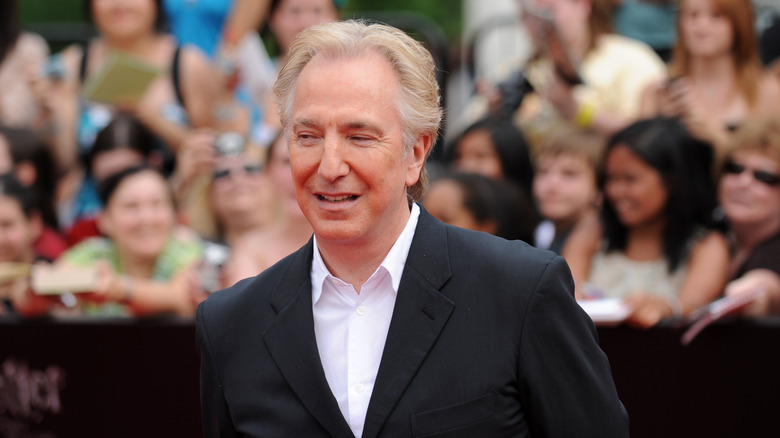 The first new thing the world learned about Alan Rickman upon his death was that he had been battling pancreatic cancer for a few months prior to his death, after being diagnosed in August following a small stroke. Pancreatic cancer, sometimes called a "silent cancer," takes time to present any symptoms, and is often found after a seemingly unconnected problem surfaces. Rickman decided to keep the news confined to close friends and family, and soldiered on with work. An admirable act to be sure — and one that acted, in the long run, as a favor to fans. No one knew what they were going to lose until he was already gone. Though Rickman portrayed many noteworthy characters, Severus Snape, Harry Potter's own antihero professor, might be the most memorable. Snape is vindictive, moody, and even in his moments of bravery, deeply and unrelentingly cynical. It's a fine edge to dance upon, but one that Rickman made look easy. For eight films, he portrayed the potions master with caustic aplomb. When you read the books, you hear Rickman's voice — his performance was that natural, that perfectly honed, and now, that utterly iconic. It was also, by all accounts, the role that had the least to do with his actual personality. When recalling the actor posthumously, over and over people have touched upon his kindness and generosity of spirit. In a touching tribute for Entertainment Weekly, Kate Winslet mused, "If there was one word I could use to really describe Al, it would be kind. He was so kind… whenever Al would go out to supper and anyone else would try and pay, he would somehow have phoned ahead or slipped his credit card ahead of the meal so no one even got a look at the check." Accounts of helping hands, thoughtful gifts, and recommendations abound. Rickman wasn't just passively kind but actively generous, and the legacy he leaves behind is sterling. Actors working in kid-centric film and television are put in a unique position. Parents are present, of course — as are agents, managers, publicists, and the rest of the host that tend to child stars — but, simultaneously, absent from huge swaths of their children's lives. They're not in the chair giving interviews, taking part in a scene, or on the screen when the debut happens. Adult actors, on the other hand, are there, working alongside the child in question, understanding what lies ahead of them if they continue down that career path. Some actors don't much care, but some understand the position they're in as one of responsibility — even duty, really, to the kids looking to them as guides in a confusing industry. Rickman was very much the latter. 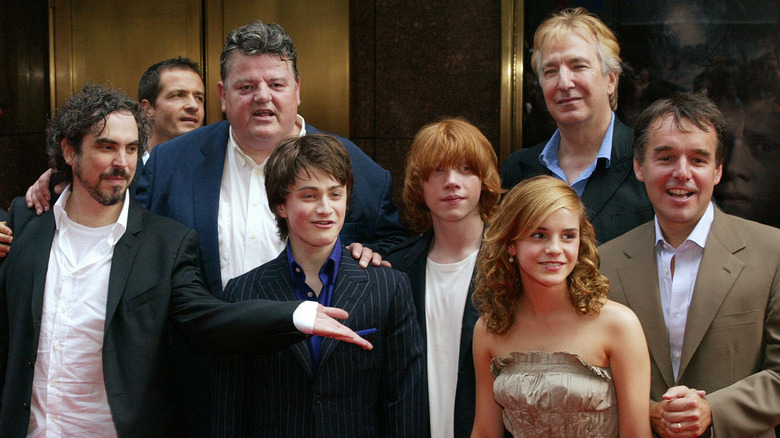 To the children of the Harry Potter set, from headliner Daniel Radcliffe to supporting player Sean Biggerstaff, Rickman understood his responsibility to them as a guide and mentor. 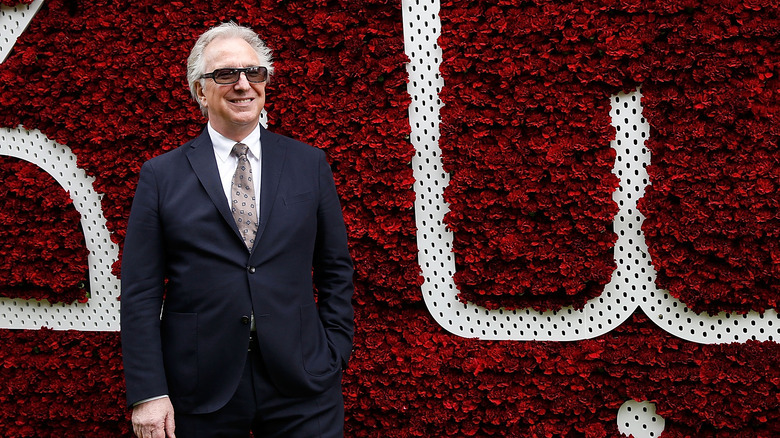 "I was 13 when I first worked with Alan and it was amazing to have someone like that in my corner," Biggerstaff recalled, noting that Rickman also helped him get his first agent. "I could talk to him when times were tough. Having someone as brilliant as Alan believe in me was an incredible safety net against the worst situations." 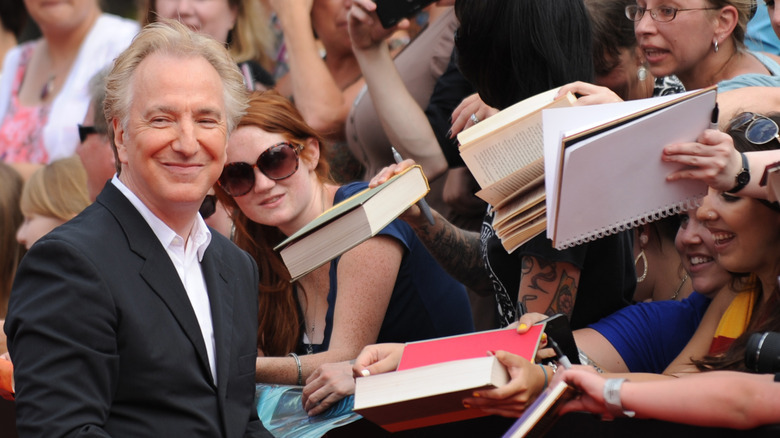 Over and over again, these recollections emerge, one thing uniting them all: growing up in Harry Potter meant growing up with Alan Rickman, and that was a wonderful thing indeed. Director Kevin Smith shared some truly touching recollections of Rickman after his passing, declaring him "one of my favorite people who ever lived… I loved Hans Gruber the minute I saw Die Hard but I fell in love with the soft-spoken gentle soul who brought Gruber to life." He went on to share some especially hilarious moments from the filming of Dogma, Smith's goofy sendup of religious rigidity in which Rickman played an angel named Metatron. Rickman, as he remembered, cracked up at the world-weary angel's Ken-doll-like lack of genitalia. But Rickman did more than lighten the mood: he set the bar. As Smith went on to recall, Rickman upped the ante for the entire cast of Dogma with his elegance and mastery of the craft of acting, demanding, through his mere presence, a certain standard from those around him. Actor Jason Mewes took this to its most dramatic end by memorizing the film's entire script to avoid angering "that Rickman dude." Given that Rickman was playing the official voice of God, that intimidation is, perhaps, understandable. 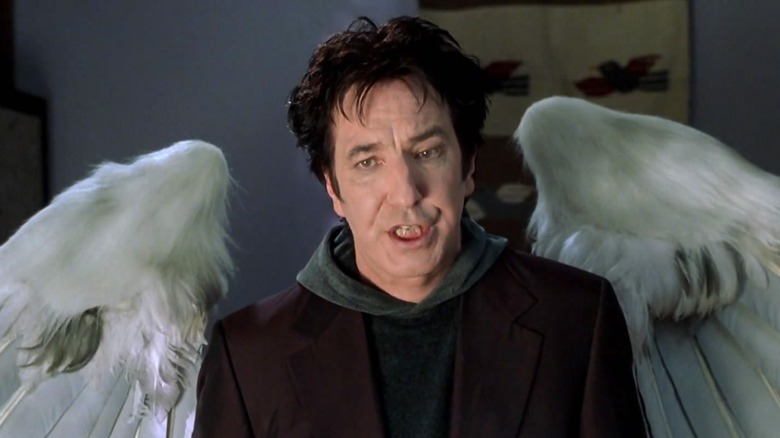 And ultimately, it probably helped: Dogma holds up today as a clever and innovative satire, in no small part because of Rickman's influence in front of and behind the camera. Though most of the things that have come to light since Rickman's passing are delightful, touching, or simply hilarious, there is one that is only disappointing. It turns out that Rickman, despite his varied film career, despite the many roles he made iconic, despite the length of time he spent upon the screen and stage, was never nominated for an Oscar. It seems unbelievable at first — how could such a giant of British cinema, a man who conquered everything from children's fantasy to chilling villainy, not have won the industry's highest award? He was not unrecognized, granted — he won BAFTAs, Golden Globes, Primetime Emmys, SAG awards, and was twice nominated for a Tony — but what the world regards as the highest honor of a film career eluded him. Some, like the BBC, assembled a list of what they regard as the five most "appalling snubs." The rest of us must simply gape. Regardless, his work will live forever — with or without the little gold statue. 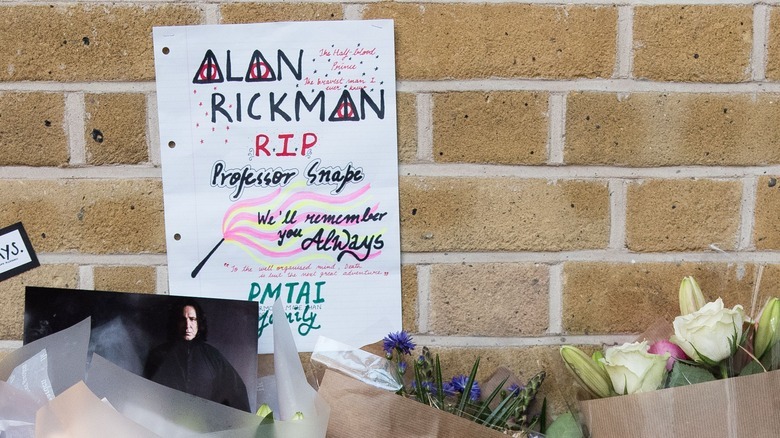 Harry Potter is a generation-defining phenomenon that will echo for years to come, and Rickman's Severus Snape was a major player in the Potter universe, figuring heavily in each of the series' eight movies. He played that eight-film, era-conquering role with inimitable skill, a voice as capable of silkiness as it was of venom, and a physicality that rendered him graceful, even in a hundred-buttoned, batlike cape. Yet Rickman was not always at ease in the potion master's cloak. It has emerged since he passed that he had his doubts as to the direction of the character — doubts he expressed directly. In a letter won at auction, producer David Heyman wrote, "I know, at times, you are frustrated but please know that you are an integral part of the films. And you are brilliant." Further notes surfaced, including one penned by Rickman during the filming of Half-Blood Prince entitled "Inside Snape's Head" that reveals frustration with what he felt to be directorial mishandling of the character. Given that Half-Blood Prince is the most Snape-centric of the Harry Potter movies, it is understandable that doing the character justice was on his mind — and whatever disagreements surfaced, what is certain is the quality of his performance. Younger fans cannot know how heated the debate over Snape's true loyalties grew back when the Harry Potter saga was a work in progress — but galloping gargoyles, as a wizarding world denizen might say, how that debate raged. Snape's motivations were murky and his actions ambiguous until the very end, when it was revealed that Snape — unpleasant, vindictive, occasionally misguided Snape — was on the side of the angels all along, motivated by his deep and lasting love for Harry's mother Lily. Though some had guessed, no one knew the full truth until the very final chapters. No one, that is, except Alan Rickman. It's come to light that author J.K. Rowling told Rickman the truth about Snape's motivations years prior to inform his performance. It boiled down to, as Rowling tweeted, one word: "always." Potterheads will recall that this is Snape's confession of undying love, and what he will never forsake. 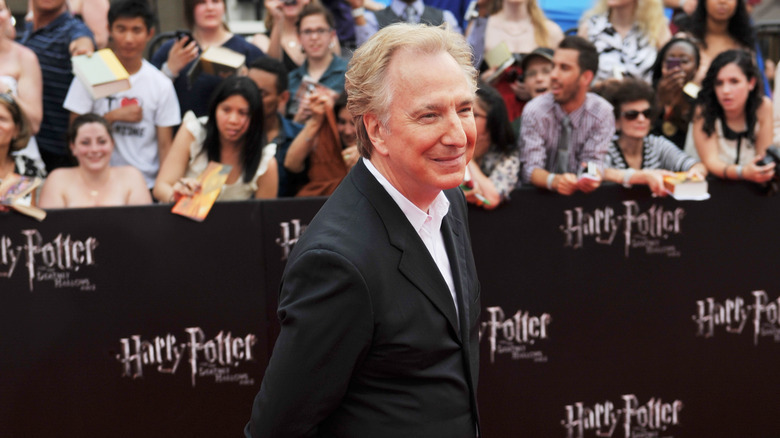 When one revisits the Potter films, this knowledge becomes more apparent in Rickman's performance: though he is sour, unrelentingly harsh, and sometimes even outright cruel, he returns, over and over again, to the side of light and love. His anger at Harry is so much more nuanced than at first glance, and his frustration with the growing darkness around him more pronounced. Snape was much more than he seemed, and Rickman made that apparent in everything from overt declarations of loyalty to the subtlest, more fleeting glances. Though Rickman's trademark style and double-bass voice made every role he took on memorable, one of his best was Alexander Dane from Galaxy Quest. An actor in his own right, Dane feels degraded by his role as Dr. Lazarus on the in-universe Star-Trek-equivalent Galaxy Quest, which requires the use of a complicated (and somewhat silly-looking) skull prosthetic and a lot of alien catchphrases. Indeed, Rickman playing Dane playing Dr. Lazarus, dead-eyed as he is paid to appear for banal promotional events, cynically intoning, "By Grabthar's Hammer…. what a savings," is among Rickman's finest lines. It's a tricky role that depends enormously on Rickman's very refined, very educated, very British presence being ruffled in a way it typically was not, and it paid off enormously. Galaxy Quest was beloved immediately, and often hailed in Star Trek fandom as a better Trek movie than some of the official outings. 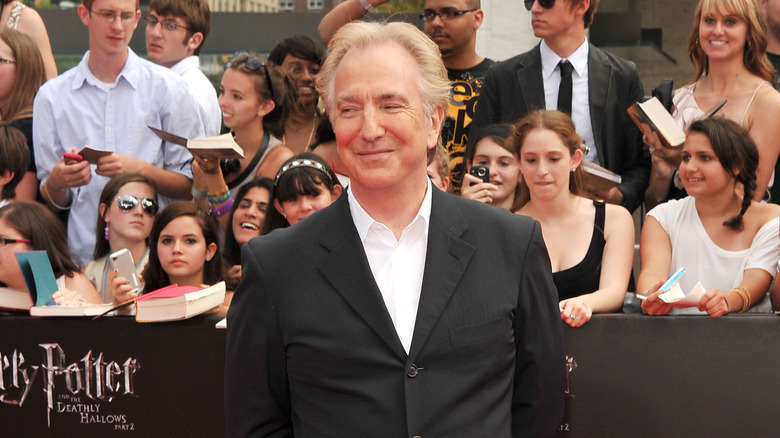 Rickman's performance in particular is held to be one of the film's most memorable. Unsurprising, then, that a sequel was in the works before he died, being kept under wraps until finalization. It's a bittersweet sort of knowledge now that acts as a testament to Rickman's acting and a lamentation of what could have been. As Dr. Lazarus himself might say, by Grabthar's Hammer… what a shame. Many actors and otherwise notable public figures have a charitable cause or two that they support. Many are close to their hearts, some are locally inclined, and others are entirely random. Rickman, famously open-hearted and open-handed, wasn't just philanthropic — he was utterly devoted to his causes of choice, one of which looms particularly large upon his passing. Saving Faces, a facial surgery research foundation, mourned his death with a heartfelt "farewell to our wonderful patron," revealing just how much he'd done for the organization, from supporting its creation in 2000 to helping them launch their research center in 2014. Rickman was, as the missive notes, personally motivated in his support: dear friends and colleagues Anthony Minghella and Sheila Gish were both afflicted by cancers affecting the face and another friend, Helena Kennedy, has also served as a patron for many years. He threw his weight behind the group's trailblazing research with zeal, and today Saving Faces is empowered to combat some of the most devastating diseases and disabilities known to man. A famous face often makes life easier for the one who wears it — but only occasionally does it make life easier for others. There are few relationships in the Harry Potter series more charged than the one between Harry and Snape. Harry Potter and the Half-Blood Prince, after all, reduces to "Harry Potter and Severus Snape" if you decode the pseudonym. Snape gives his life to protect Harry, yet bullies him relentlessly for years. Harry loathes Snape to the point of obsession, yet names a son after him. Theirs is a relationship at the core of the series, the crux of Harry's journey, and the acme of the final battle. It's only appropriate, then, that Alan Rickman matters so deeply to Daniel Radcliffe. Radcliffe hailed him, in a heartfelt post after Rickman's death, as "undoubtedly one of the greatest actors I will ever work with. He is also one of the loyalest and most supportive people I've ever met in the film industry." He went on to detail Rickman's kindness and generosity, his mastery of the craft of acting, and his wit, and added one particularly heart-wrenching detail: "I'm pretty sure he came and saw everything I ever did on stage both in London and New York." 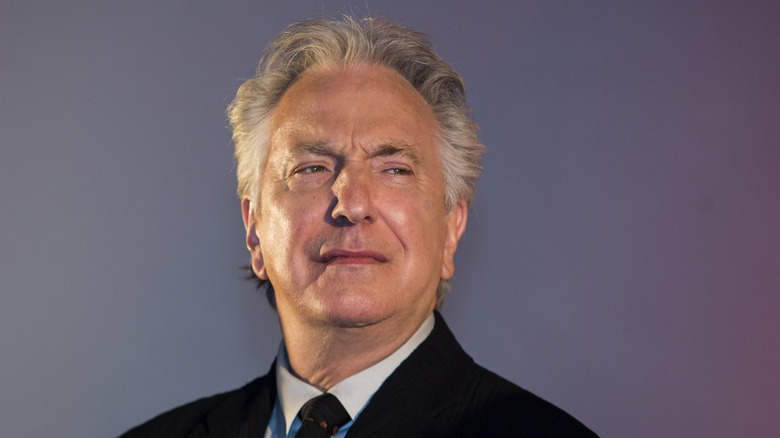 Rickman's dedication to performance was legendary — yet surpassed by his devotion to performers themselves. He was a legend in acting, an icon of grace, and it turns out, a magnificent memoir.